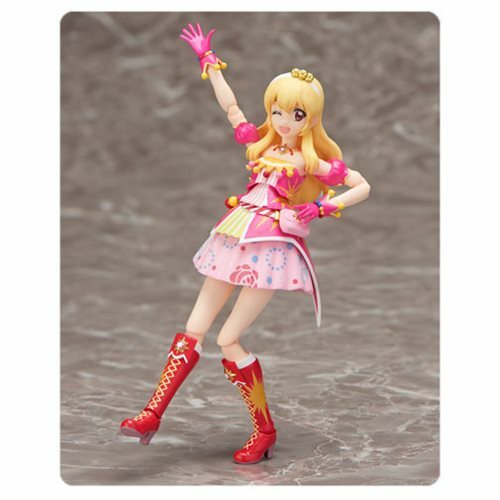 This figure lets you capture all sorts of cute poses from Hoshimiya Ichigo's live performances! The dress is molded in a flexible material to enhance posability. The expression parts are also compatible with the "winter clothing" version of the character, released by SH Figuarts. The 5 1/4-inch tall figure includes 3 facial expression parts, 12 different optional hands, 3 Aikatsu! (Soleil) cards, and a stand. Ages 15 and up.